The evolution of Potgate and Gebdykes quarries has transformed intensive farmland into a rich bio-diverse environment, providing a perfect home for a range of birds, animals, amphibians and plants which would have otherwise not been here. 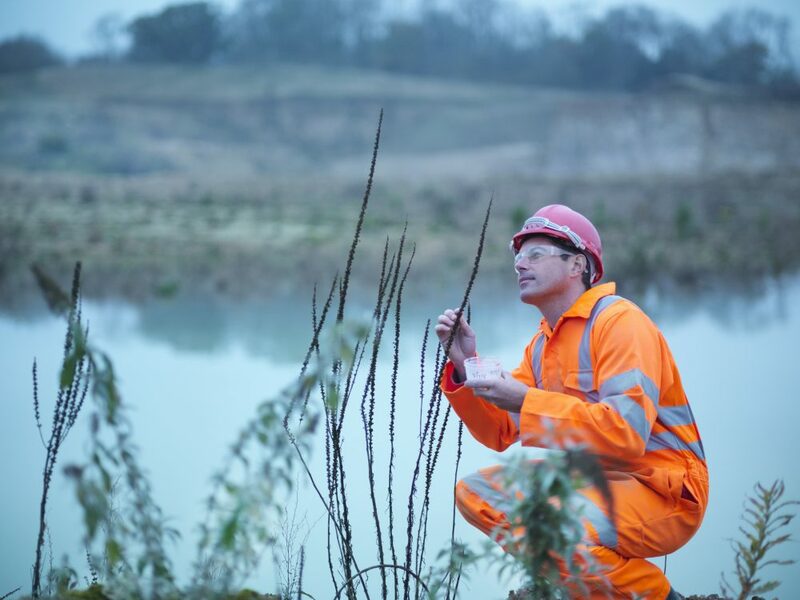 We regularly see sand martins, great crested newts, badgers and birds of prey in the quarries and we do our very best to support and protect their environment. Unique to the restored landscape at magnesium limestone quarries like Potgate and Gebdykes is the limestone grassland which is easily overlooked however it has a diverse ecosystem. The grass itself is hardy and durable. The ground conditions produced are perfect for clover to grow and often thyme and basil grow wild throughout. Over 40 species of rare wild flowers and plants grow on the grassland which looks truly beautiful as it flowers during the spring and summer months and attracts rare species such as the wart-biter bush cricket, Adonis blue and Duke of Burgundy butterflies and bordered gothic and four spotted moths. Limestone grassland has become rare in the UK as after world war II the land was used for arable farming and cattle grazing, through restoration of magnesium limestone quarries we are beginning to see it’s return, creating a home for some of our more beautiful wild flowers and rare insects. For more information visit The Wildlife Trust on the following link.